We are pleased to host a workshop on Social Media Marketing by Christopher Hogg. Keeping the world informed about our activities, across multiple digital platforms, can be difficult with limited resources. This workshop teaches you how to take control of those timelines, tweets, likes and shares through a renewed focus and concentration of finding the ‘human’ in technology. 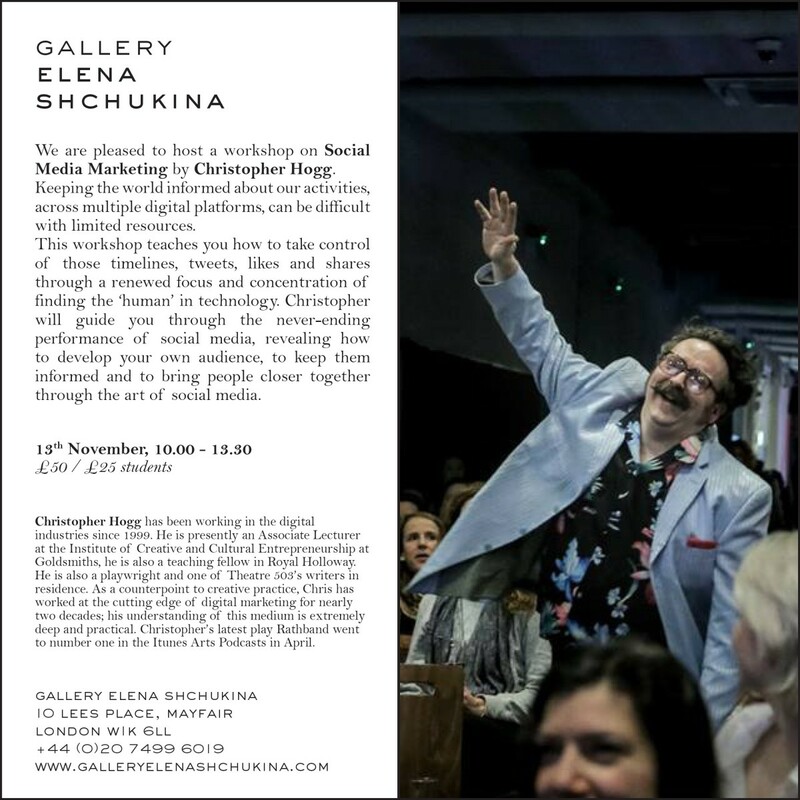 Christopher will guide you through the never-ending performance of social media, revealing how to develop your own audience, to keep them informed and to bring people closer together through the art of social media. Christopher Hogg has been working in the digital industries since 1999. He is presently an Associate Lecturer at the Institute of Creative and Cultural Entrepreneurship at Goldsmiths, he is also a teaching fellow in Royal Holloway. He is also a playwright and one of Theatre 503’s writers in residence. As a counterpoint to creative practice, Chris has worked at the cutting edge of digital marketing for nearly two decades; his understanding of this medium is extremely deep and practical. Christopher’s latest play Rathband went to number one in the Itunes Arts Podcasts in April.